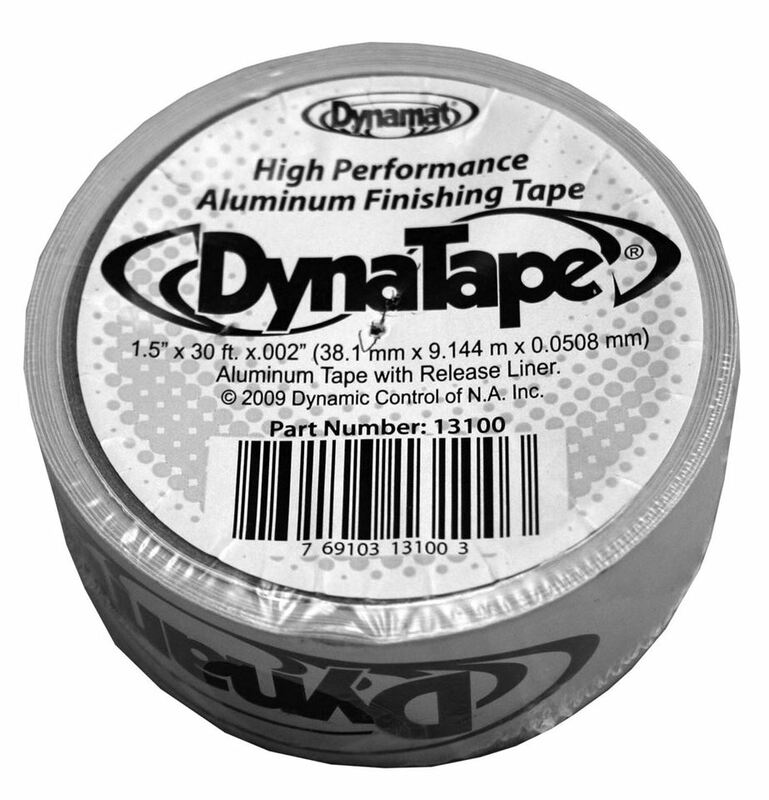 DYNATAPE finishes your soundproofing projects with a clean and tidy look. adhesive that applies easily so you can finish your project tidily. Xtreme Bulk Pak contains nine 18" x 32" pieces of Dynamat Xtreme covering a total of 36 square feet (3.25 square metres). Total coverage 27 square feet (2.5 square metres). For ensuring good adhesion on simple applications on flat surfaces. Dynamat Hoodliner 32" x 54"
2" wide rubber roller ensures good adhesion on curved and irregular surfaces. Twelve sheets 1.2mm thick x 18" x 32" (457mm x 812mm). Total coverage 48 square feet. Three sheets 1.2mm thick x 18" x 32" (457mm x 812mm). Total coverage 12 square feet. Dynapad Composite Sound and Heat Barrier 32" x 54"
1 SHEET, 3/8" THICK, 32" x 54"
PACK OF 10 SHEETS 500mm x 200mm x 2mm thick. Measures from 50 to 126db.